Whether it is drilling, diaphragm wall, piling or mixing plant technology, visitors to the BAUER Maschinen Group at Bauma once again experienced the entire range of specialist foundation technology. In addition, Bauer is celebrating a special anniversary in 2019. Exactly 50 years ago, in 1969, Bauer began to manufacture their own machines and equipment and presented the first UBW 01 hydraulic universal drilling rig. 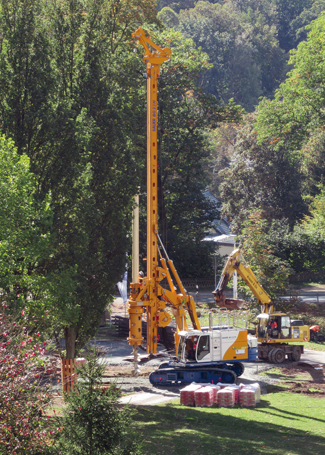 In 1976, the development of the BG 7 followed, which revolutionized cased large diameter drilling. Other milestones, to name just a few, were the first Bauer BC 30 cutter in 1984, the successful launch of MC duty-cycle cranes in 2007 or the development of EEP Energy Efficient Power technology, which set a new standard in terms of efficiency.